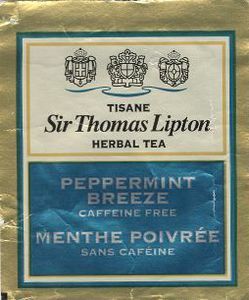 "Peppermint Breeze"? When did we start naming tea after strippers? That's it. Look, we're still in beta! All right, here's more and remember, you've seen it here 10,000th- one of my favorite comedians talks about my favorite comedian.